And how is the world reacting to this demonstration of power? 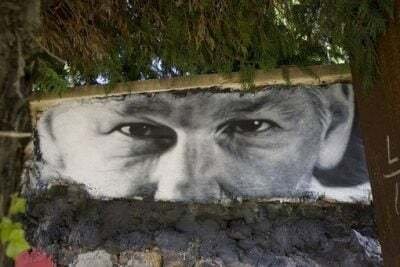 Those who question the ’might is right’ mantra are reacting with shock and disbelief, but with the foreboding that the persecution of Assange is just the beginning of the long-planned for world-wide reign of tyranny. The silencing of the truth-seekers and those who dare expose the atrocities committed by athorities and hidden out of sight of the public eye. The public that vote for and finance the political leaders and the system. But the majority of people remain silent – either out of fear or because they choose to believe the distorted ’news’ served in the corporate-owned or politically influenced mainstream media machine. The very same media that once profited from the publication of the Wikileaks revelations. These media outlets turned their backs on their fellow journalist Julian Assange and have since been at the forefront of attacking him. Riciculing him and backstabbing him by falsely accusing him of spying and hacking. These unfounded accusations are now being voiced as established facts by politicians and media around the world paroting the announcements of the all powerful. Some of these politicians may be excused due to a lack of knowledge, although it would then have been wiser not to comment. However, is it not more likely that they utter their biased views in order to please the powers-that-be? The powers that have now once again demonstrated their unchallenged omnipotence to dictate to the world what is right and what is wrong. Is it wrong to expose and shine the light upon clandestine and horrific human rights abuses, war atrocities and mass killings of innocent people? This is what Assange has done by publishing leaked documents sent to him by whistleblowers and sources who had the courage and conscience to break their oath of silence. Assange has done what every publisher in journalism should hold as their main priority: publishing the truth, regardless of the cost. This is his only ’crime’. It is due to the publication of such truths that the Vietnam War was finally ended. Due to the public outcry and shock when the pictures of the ’Mai Lai Massacre’ in Vietnam appeared in the press. The public was suddenly awakened by the appalling facts – the facts that our leaders desperately tried to keep hidden. Will the present showcase of the Assange proceedings be a wake-up call to the public? Will we allow injustice, the violation of international law and the brute silencing of the messenger to be carried out right in front of our eyes without lifting an eyebrow? Or will the voices of freedom and truth prevail and drown those shouting ’Cruzify, Cruzify’? Only time will tell, but time is running out if we are to avert yet another gross example of injustice which will have its place in the history of humankind. Every voice counts. When we stand up for truth, we save not only Julian Assange, but our right to freedom of speech and thought.